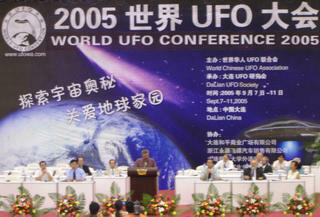 The 2005 "World UFO Conference" held in Dalian, a thriving and modern port city in north east China, provided me with a good opportunity to witness various manifestations of Chinese ufology. 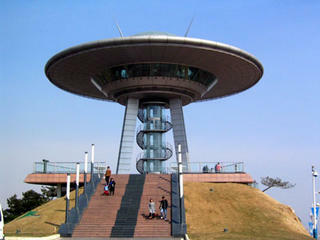 While the conference was interesting and entertaining for a whole lot of reasons, mixed in with themes of "lost in translation", I was drawn to the event to help further develop my understanding of UFO research activity in China. 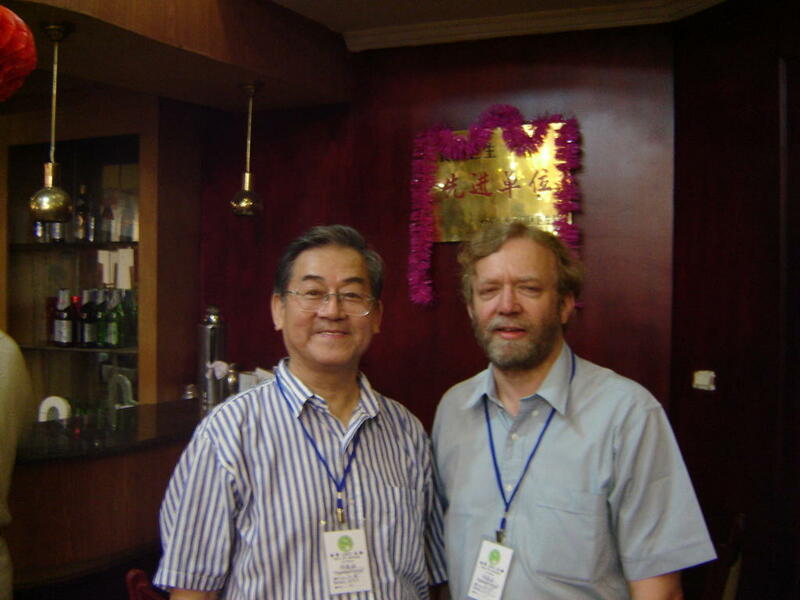 That objective was largely achieved outside of the formal conference activities when I was able to do a number of interviews with key researchers and identities, with the help of very helpful volunteer university student interpreters, particularly Sadie and Marina. They helped me in my interviews with Professor Sun Shili (one of the most recognised spokesmen for Chinese UFO research), Zhang Jingping (an active and energetic Beijing based UFO researcher), Professor Ling Huan Ma (a very helpful Beijing based "UFO learner"), and Professor Chen Gongfu (principal researcher of the Meng Zhao Guo case, regarded as China's most famous alien abduction case). 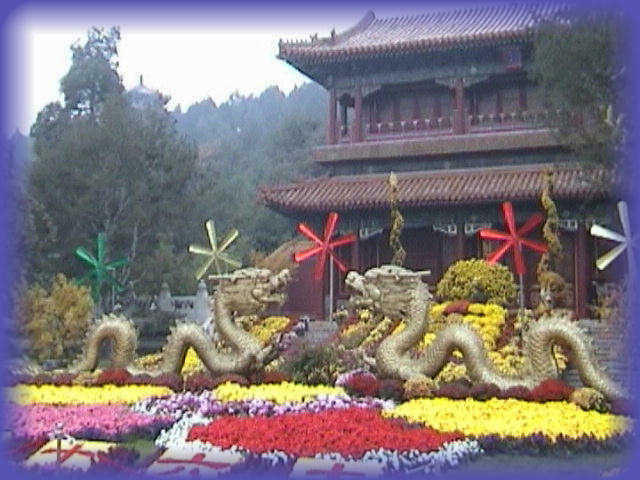 My visit to China and all the new Chinese friends I made certainly enriched my understanding of the Chinese UFO research scene and my apreciation of Chinese culture and history. 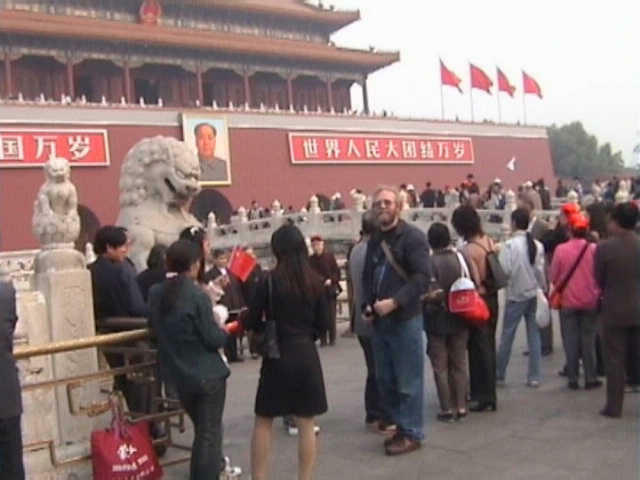 My enjoyment of the culture and history was also wonderfully assisted by my guides and interpreters in Beijing and Xi'an - Irene and Cici. 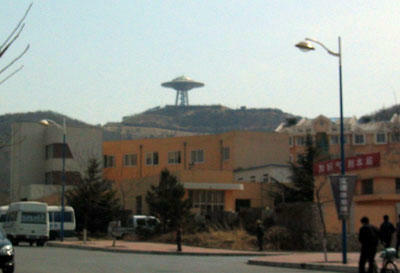 A UFO sighting in central China? 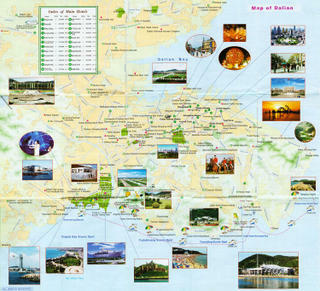 - Flying out of Xi'an during the early evening of September 13th on an Air China flight bound for Beijing afforded me a puzzling aerial sighting which I photographed. I'm still not sure if what I saw was an unusual cloud or a more interesting anomaly. I err to the former possibility but what seemed a rather sharp angular elongated rectangular "object" had me intrigued and glued to the plane porthole for about 10 minutes. Footnote: I had intended to access my web log while in China to post a series of commentaries, but found that I could not access my blog site or a number of other blog sites from 3 different locations - Beijing, Dalian and Xi'an - it seemed like some sites, such as blogs, were not accessible inside China? 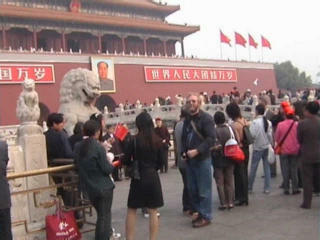 Here are some shots from my previous visit to Beijing during 2002. I will use to post to update via Internet cafe visits during my September 2005 visit to China. 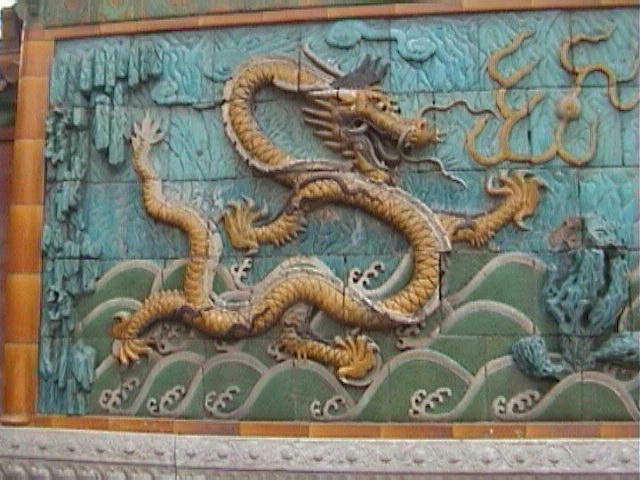 As I will be going to China for a couple of weeks I have put up a couple of posts with various oriental and Chinese imagery from my files. I propose to revisit these via Internet cafes and try to post some reports on the Dalian UFO conference, Chinese ufology in general, and some of my experiences in China, should opportunity present itself. 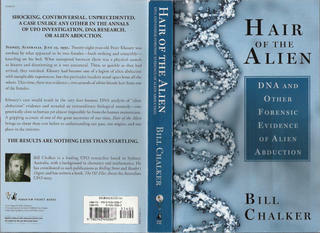 Recently I was "interviewed" by a reporter for Flash News about my new book "HAIR of the ALIEN". I found the process and the resultant "news item" rather pointless. Comments from him that my book "could be the next da Vinci Code" or "it should be made into a film", suggested to me he was either being cynical or he didn't get out much or even read much. Waiting for his call I was reading what some in the publishing game regard as the real McCoy - "the next da Vinci Code"! In my humble opinion that book was rather better than that simplistic label. 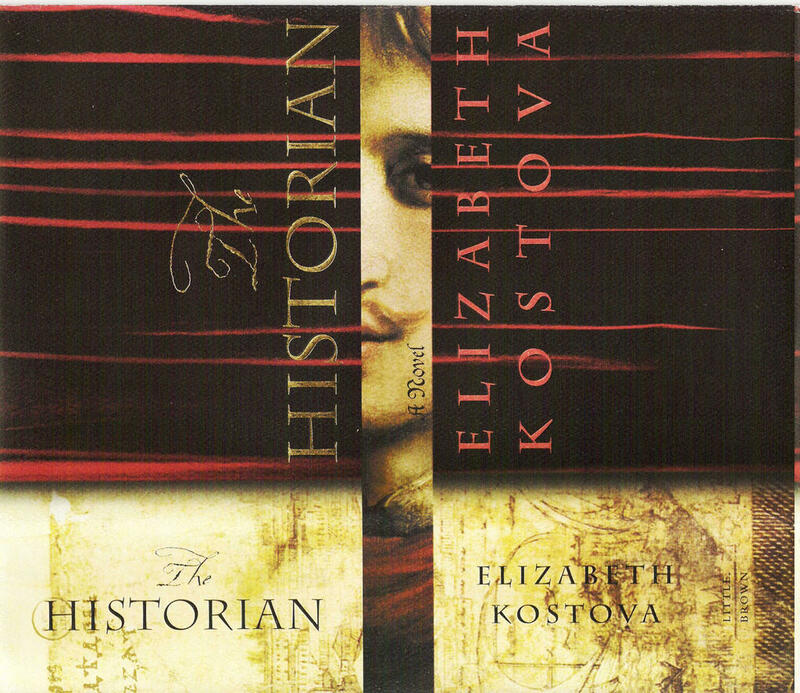 The book "The Historian" by Elizabeth Kostova is a best seller, evocatively recasting the Dracula mystique in the era of the Cold War. 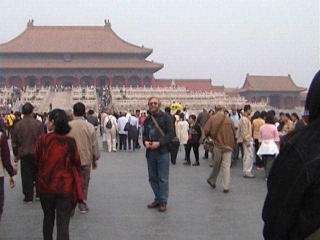 It has a style rather more literary and elegantly languid than Dan Brown's offering. 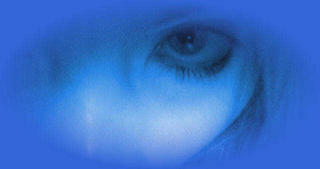 Kostova's first novel evokes in the reader different reactions depending on your literary sensibilities. For me it was a great read, at times evoking moments of striking reverie, the kind one gets only in those stories that resonate with personal experiences and passions. "It is a fact that we historians are interested in what is partly a reflection of ourselves, perhaps a part of ourselves we would rather not examine except through the medium of scholarship; it is also true that as we steep ourselves in our interests, they become more and more a part of us." "Next Turgut brought out a small book bound in ancient leather. It was difficult for me not to reach for it at once, but I waited in a fever of self-control while Turgut gently open it ...."
For me it was like touching the Rosetta Stone - an electric moment of discovery which would have wider ramifications - a bridge between mysteries that once seemed insoluble but would become clearer with further research and contemplation. Just as the Rosetta Stone provided a link between cultures (the Egyptian and the Greek) that would be the key to deciphering the mysterious Egyptian hieroglyphs and thus unravel the marvels of ancient Egypt, the document I now held was both a link and a key to discovery and revelation for a journey I had begun long ago. It provided for me a link to evidence that was now missing or only present in tantalising fragments, and it was a key to much wider and more clandestine dimensions to the mystery I was trying to unravel. I was caught in a frustrating catch 22. 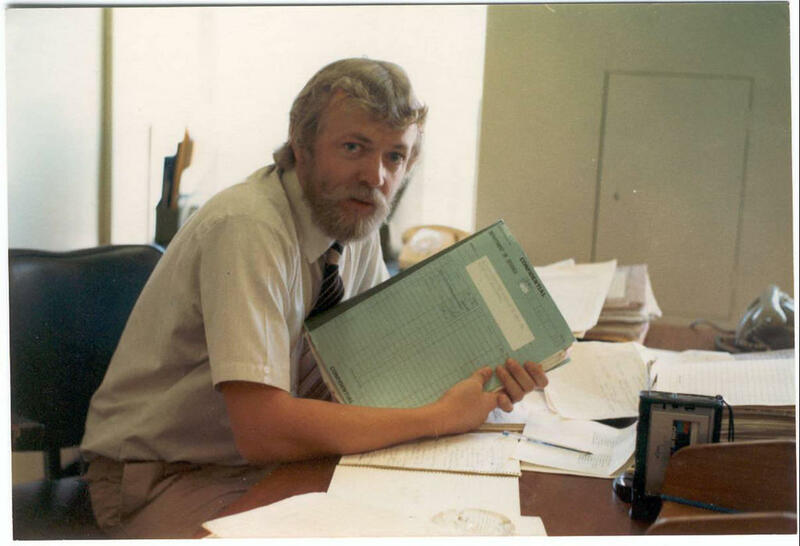 Here I was during 1982, in the Russell Offices of the Department of Defence in Canberra, trying to talk Air Force Intelligence into allowing me to examine one of the few files I had not yet been cleared for. 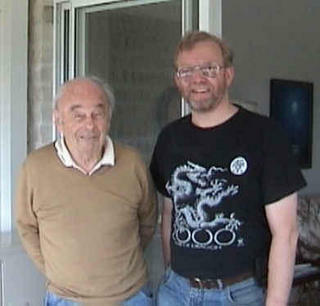 Squadron Leader Ian Frame, the Royal Australian Air Force (RAAF) intelligence liaison officer held the Directorate of Air Force Intelligence (DAFI) UFO policy file. It was classified and for the moment I would not be able to read through it, however if I could nominate what I wanted to see then he would review the contents and determine if I could read particular items in the file. While I was unaware of the contents it was difficult to know what was in there? The file - Part 1 of the RAAF DAFI UFO "policy" file series AF 554/1/30 - had earlier been explained to me as a confusion of miscellaneous material from 1953 to 1959. For me however it had the potential of unravelling the early days of official military involvement in the UFO controversy in Australia. I explained what I wanted and as Squadron Leader Frame leaf through the file in front of me I spied what looked like a lengthy table of data. I said that looked interesting and that it could be relvant to what I was after. Sqd. Ldr. Frame said he would go off to review the contents and return with a decision as to whether I could see it. "The evidencepresented by the reports held by the R.A.A.F. tend to support the ... conclusion - namely, that certain strange aircraft have been observed to behave in a manner suggestive of an extra-terrestrial origin." 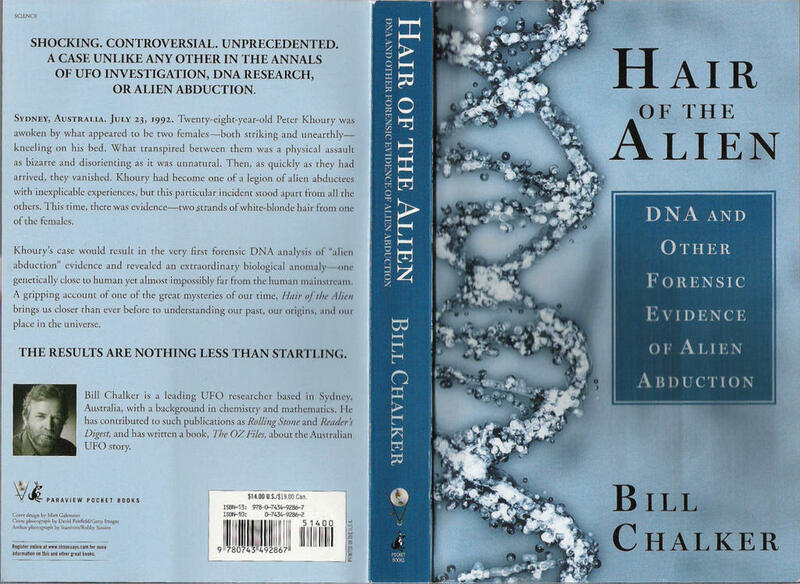 In my new book "Hair of the Alien" I revealed a hidden dimension to Harry Turner's later secret UFO research - a strange odyssey into the exotic and bizarre realms of UFO experience and history. I had written the above in 2002 the same year I had stood in deep reverie before the real Rosetta Stone in the British Museum. For someone who loves to learn and discovery history, real and imagined, I was caught up in strong emotions - the Rosetta Stone before me and the Egyptian rooms behind me. No wonder Kostova's book "The Historian" had such appeal to me.